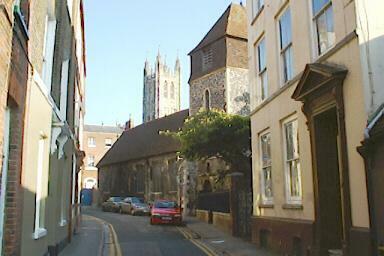 St.Alphege Lane leads into Palace Street. The church in the foreground is St.Alphege. It's now the Canterbury Environment Centre.